The Philosopher's Beard: Does Peter Singer's 'Utilitarian' Argument for Vegetarianism Add Up? 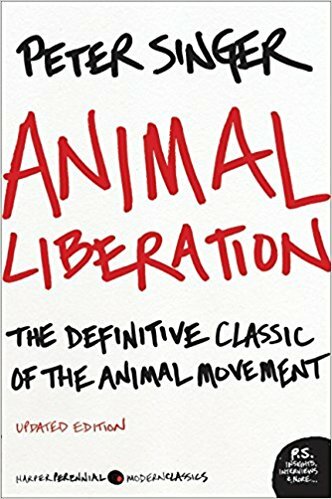 The contemporary animal rights movement owes a great intellectual debt to Peter Singer's pathbreaking book Animal Liberation (1975), also known as ‘the Bible of the Animal Liberation Movement’. In that book Singer made a break with the dominant but limited Kantian argument that mistreating animals is a bad – inhumane – thing for humans to do. In its place, Singer advanced a case against harming animals, such as by using them for food or experiments, based on their equal moral status, their right to have their suffering counted equally with that of humans. Singer's book has influenced many people, including myself. Yet, reading and rereading it, I have come to wonder whether it is really a work of good philosophy rather than merely effective rhetoric. 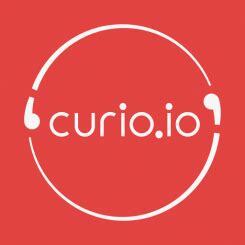 Its success relies on pathos - an appeal to the sentiments of the audience. Despite multiple revised editions, Singer's official argument, his logos, is far from clear or compelling. It is disappointing that the revered urtext of the animal rights movement lacks the intellectual rigorousness it claims. Worse, the flawed utilitarian case pressed by Singer is intended to foreclose the consideration of more relevant ethical accounts, most obviously those that directly engage with sentimentalism rather than being embarrassed by it. In this essay I will focus on the 'utilitarian' case for vegetarianism in the most recently revised (2002) edition of Animal Liberation, which I believe is mistaken or incoherent in various ways. Some readers may consider my treatment of Singer uncharitable and perhaps even petty - making mountains out of molehills. But, firstly, Singer's approach to applied moral philosophy prioritises rigour and charges of inconsistency are central to his critiques of alternative views. So it is only fair to scrutinise him in the same way. And, secondly, one thing I want to show is that Singer's commitment to this kind of argument undermines the resources in his own book for alternative and better moral justifications for vegetarianism. Singer does a good - emotively compelling - job of showing that the suffering of livestock animals is a real and great evil and that the world would be a better place without it. But he goes wrong about what the reader should do about it. He directs the reader to become vegetarian (or vegan if they can) on the grounds that this will undermine the economics of industrial farming and thereby reduce the amount of animal suffering in the world. Singer is trying to make a practical argument here about how individual consumer choices can bring about a better world. But without consideration of the social logistics of collective action problems - the "elementary economics" of how individual actions translate into aggregate outcomes - it amounts to no more than wishful thinking. Individual consumer 'votes' against factory farming, like votes in democratic elections, cannot be justified as a means to an end. In both cases, very large numbers of people are involved and the mechanism for counting is simply not sensitive enough to discern a single individual choosing one way rather than another. In the case of elections, for example, the voting system's error rate - hanging chads and mistakes by vote counters - is many times greater than the difference one voter could make. It is therefore irrational to believe that your choice in itself can make a direct causal difference to the outcome one way or another. Likewise, if you become a vegetarian you will not achieve anything directly by your consumer choices because they cannot be noticed by the animal products industry. Animal products are distributed via a myriad of intermediaries, from hot dog stands to supermarkets, which can only crudely match their inventory planning to sales (on principles like rainy days sell less hotdogs). So the first question is who will notice that you are boycotting meat and stock less? Is it the same people who notice when you go on holiday, or when someone dies? The livestock industry itself operates on a vast scale with very high wastage rates - many animals don't even make it to the product stage. So the second question is which chicken farm would buy fewer chicks because you don't eat chicken anymore? The feedback mechanisms between demand and supply in this industry are just too crude for an individual's choices to have any effect. The fact is that becoming a vegetarian may make you feel better, but it won't save any animals in itself. Of course, individuals can still try to ‘do their part', and it is true that if lots of people act in the appropriate way the right aggregate consequences may be realised. The problem is that each individual's contribution is akin to removing a single hair from some unfortunate person's head. Suppose lots of people do this. At some point it will be clear that the guy is bald, but it will never be the case that this depended on the one hair you pulled. If you didn't bother the outcome would have been the same. Singer is engaging in rhetoric here rather than logos. He is making an disingenuous argument to persuade the reader to act the way he wants by flattering us about our individual power to make a difference. From Singer's perspective this is a effective (hence utilitarian) strategy to recruit more people to the economic war on meat. But from the perspective of the individual reader, the argument does not warrant vegetarianism. The point is that in utilitarianism, the end justifies the means. But that is exactly why, as an individual actor, you should only select actions if they are effective. It would be irrational for you - or even Singer himself - to be motivated to stop eating meat by the belief that your choice would in itself make any difference to the quantity of animal suffering in the world. This is not an argument against vegetarianism, only against Singer's justification. Ethics has many dimensions. There is no need to limit ourselves to utilitarianism, and no need to limit utilitarianism to consumer voting power. For example, we can give an account of duties in which one does the right thing simply because it is the right thing to do, not because it will make the world better. Or virtue ethics, in which one tries to be a good person rather than to optimise the state of the world by your choices. And we can broaden how we use utilitarian analysis. Singer himself mentions other possibilities for action, including political mobilisation for reform of animal welfare laws and proselytising for the vegetarian lifestyle. These are ways for individuals to strive to affect aggregate outcomes by reforming institutions and social norms. Yet, Singer declares that "these methods are not enough" and instead focuses on the ineffective method of consumer voting. Such disinterest in political and civil society engagement is a general feature of Singer's individualistic approach to applied ethics, also apparent in his analysis of charitable giving. But let me turn now from strategy to goals. Here the problem is Singer's conception of utility. The trouble with this is that if one only looks at pain, one gets a very distorted view of quality of life and a poor guide to action - rather as one would expect of a cost-benefit mode of analysis that disdains to consider benefits. Merely taking away the pains of hunger, cold, and injuries, for example, would not make one's life is go better. Those unpleasant sensations are merely evolved warning mechanisms essential to survival and flourishing - your real interests. There is a basic error here about what matters: feels or reals. Consider the suffering minimisation principle further. Imagine you have to choose between saving person A or person B (it's a thought experiment - probably something to do with trolleys). You are in a position to know that person A will have 10 units of suffering in his life, equivalent perhaps to chronic arthritis for the last few years of his life. But he will also go on to have a million units of pleasure, one thousand times more than any individual has ever enjoyed before. Person B on the other hand will only experience 5 units of suffering in his whole future life, but no pleasure whatsoever. According to the principle of minimising suffering, person B will have the better life and you should save him. That doesn't seem a very compelling principle of justice. Turning back to animals, even if we were to succeed in eliminating the livestock industry as Singer hopes, this should be only the start if we take our obligation to minimise suffering seriously. For the world would still be drenched in the suffering of wild animals - their hunger, fear, cold, injuries, parasites, and so on. By Singer's logic we should presumably try to eliminate that too. Singer suggests that this would constitute playing God, and is beyond humanity's capacities. But I think it is something we would actually be rather good at. We have after all already saved many whole species from the possibility of suffering, such as the Passenger Pigeon. The phenomenological experience of pain is an evolved feature of vertebrate species and cephalopods, presumably because it informs individuals of physical injury in time for them to do something about it and this makes survival more likely. It follows that members of these species all feel pain on a regular basis, that pain is a natural feature of the natural world (and part of the modern problem of evil that theists have to deal with). Yet, if suffering is bad in itself, why does it matter whether it is brought about by disease, weather, accident, hunger and predators in the wild or overcrowding and beak cutting in industrial farms? At least it is not clear to me why we should follow Singer in only taking human induced suffering seriously. Utilitarianism as a doctrine is supposed to be focused on realising the state of the world one considers best, without consideration of how that state is brought about. Indeed the narrowness of moral reasoning imposed by this informational restriction is a standard objection to utilitarianism, since it requires ignoring agent relativity (the moral intuition that it matters who is the one to do something or to whom something is done), and also issues like fairness, backward-looking reasons like promises, and categorical principles like ‘Don't torture'. Singer's focus on the suffering inflicted on animals by humans seems to be motivated by something beyond the presence of remediable suffering: the fact that humans are moral agents able to appreciate the wrongfulness of our actions. In particular, Singer's disinterest in wild suffering or that indirectly produced by cereal agriculture seems to reflect widely shared but non-utilitarian intuitions about a moral hierarchy of means. We generally consider ourselves morally more culpable for deliberately harming another sentient being merely to further our interests (as in the livestock and vivisection industries) than for causing suffering as a foreseeable but unintended consequence of justifiable actions (such as the field mice killed by harvest machinery) than for merely allowing suffering to go on (such as foxes eating the same mice). The irony of this reading of Singer is that, if he does consider suffering deliberately caused by "the tyranny of human over nonhuman animals" to be of special moral significance, that undermines his central claim about the equality of suffering as well as his credibility as a utilitarian. Human suffering matters however it is brought about, but the suffering of other animals only seems to matter if humans do it. But this is not the only problem with Singer's commitment to equality between human and non-human animals. IV. Are We talking About Interests or Whether They Feel Like Us? Singer's single most significant and enduring contribution to the animal rights debate is relatively simple. Directly channelling Bentham, Singer argues that the question that matters in considering the moral status of a lifeform is not ‘Are they human?' but ‘Can they suffer?' Since non-human animals seem to experience pain, they have interests that should receive equal consideration with that of humans. Singer characterises those who give moral priority to humans as ‘speciesist', a term deliberately intended to evoke emotive comparisons with the irrational prejudice of racism and sexism (pathos again). Yet I wonder if Singer himself has not inadvertently promoted another -ism of his own by fetishising the particular mode of the experience of suffering that humans find most familiar. One might call this ‘spinism', since most of the species to whom Singer extends his moral concern – those that seem to feel pain like we do – are vertebrates. He declares that his concern is to take the interests of non-human species into moral account. But like a hedonistic utilitarian he asserts without argument that "The capacity for suffering and enjoyment is a prerequisite for having interests at all, a condition that must be satisfied before we can speak of interests in a meaningful way" (p. 7). I hardly know what to make of this as an argument. Firstly, it comes only two pages after Singer declared that "It is an implication of this principle of equality that our concern for others and our readiness to consider their interests ought not to depend on what they are like or on what abilities they may possess." Secondly, it is a plainly ridiculous thing to say. It doesn't even seem particularly difficult to speak meaningfully of the interests of living organisms that lack the capacity for human-like suffering and enjoyment. Take the case of plants, which Singer rejects with little more than a sneer (p. 235-6). Individual plants have obvious interests in their own welfare - in surviving, thriving, and reproducing - one can even rank these in order of priority - and obvious intermediate interests in getting enough light, water and micro-nutrients, defending themselves from predators, and so on. The Aristotelian teleological framework for saying such things is firmly embedded in our common sense understanding and can be found everywhere from gardening TV shows to deep ecology. Singer denies that plants have interests because, like stones, if they don't feel pain then there is nothing there to have them. * But this seems a distinctly circular - arbitrary - way to draw a categorical distinction between those whose lives matter equally and those whose lives matter not at all. After all, he hasn't demonstrated that animals have anything there either, that they experience pain rather than pain being merely a property of their existence. The charge of spinism comes from this arbitrariness, which closely resembles that of the speciesists whom Singer criticises so sharply for excluding non-human animals from moral consideration. Singer supposes that the problem to overcome is that humans have tended to draw the categorical distinction the wrong place, but he insists that the only solution is to redraw it around animals with human-like phenomenological sensory apparatus. He refuses to consider that moral significance can be gradualist and multi-dimensional rather than binary. I'm not trying to argue here for plant liberation. My point is just that Singer's assertion that only sensation matters is unconvincing - ungrounded and incoherent. The way Singer has set up the argument of this book for the moral equality of animal suffering means that he has to insist on a fundamental simplicity - Can they suffer? But this equation of interests with welfare and welfare with pain is not only an unreasonable move in itself. It also seems to repeat the self-serving closed mindedness for which Singer criticises speciesists so vehemently. V. If Not Utilitarianism, Then What? 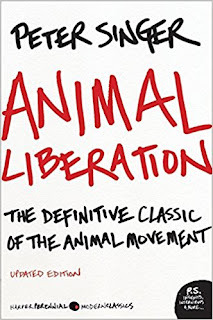 When we put all these critiques together there seems little left of Singer's claim to have established animal liberation "as a cause founded on basic principles of justice and morality" (p. 219). His official utilitarian argument is either unconvincing or not really very utilitarian after all. Yet perhaps it doesn't need to be for the book to do the job Singer wants. Indeed, little of the book consists of explicit moral arguments (just a few pages in the introduction, and parts of two later chapters) while the bulk of it consists in systematic evocation of the horrors of factory farming and vivisection. Perhaps this is the time to confess that I was convinced to try to become a vegetarian by reading Singer's book, despite my misgivings about his official arguments, simply because the horror piled on horror that is factory farming doesn't need very rigorous argument to convince you once you are pointed in the right direction and persuaded to open your eyes. Factory farming is a great and terrible evil and I want no part of it. The repugnance I have come to feel about eating such animals is an extension of what I would feel about eating my pet cat rather than the product of some calculation of abstract quanta of suffering. It is built up from my moral sentiments, a reluctance to be complicit in the infliction of unnecessary suffering on creatures that not only feel but have a human-like relation to their feelings. It might be characterised as a kind of moral disgust for cruelty. Unlike Singer's artificially simple official justification for vegetarianism, mine is visceral, muddled and inconsistent, as I think much of real moral life must be. So far as animals are concerned, we have no direct duties. Animals are not self-conscious, and are there merely as a means to an end. That end is man. It seems to me that despite its own intellectual rigour, Kant's view on this point is rightly seen these days as rather more dogmatic rather than convincing. Yet I do think that he got something right, and that something remains implicit in Singer's strangely unUtilitarian arguments: the morality of our interactions with animals is principally about us, not them. Our goal should be to end "the tyranny of human over nonhuman animals", not to maximise net happiness. That's why it matters that their suffering is inflicted by humans for no justifiable reason, that's why we should stop eating their "corpses". But this is something neither Kant nor Singer are quite able to get at because both are committed to theoretical approaches to moral philosophy that are deeply suspicious of an independent role for sentiments. Is it wrong to act from sentiment rather than reason? Yes, if you are a utilitarian or a Kantian. No, if you are something else, like a virtue ethicist. Virtue ethics is concerned with moral character – with what kind of person you should try to be rather than what kind of actions you ought to do. Among other things it incorporates moral sentiments into moral reasoning rather than setting them in opposition. Most people are natural virtue ethicists, even if they don't know it, because it more or less reflects our commonsense understanding of moral psychology. It was central to scholarly work on moral philosophy for a very long time, up until the rationalism of the Enlightenment – the influence of thinkers like Kant and Bentham – made its lack of rigour unfashionable. This is the account I find most adequate to the justification of vegetarianism. We should not be complicit in consumption practises that inflict suffering upon animals, not because the total amount of suffering in the world is too high, but because cruelty is something we should recoil from. 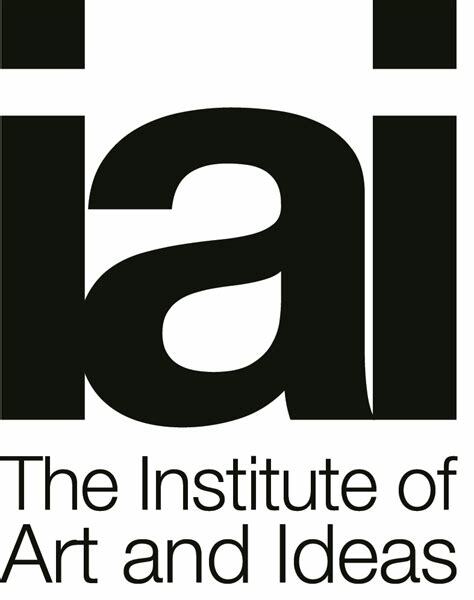 * An increasingly persuasive case can now be made for 'plant sentience', in terms of their possession of functional analogues of nervous systems and how they respond to being harmed - Singer's own criteria - based on more recent empirical research than was available in 2002 when Animal Liberation was last revised. 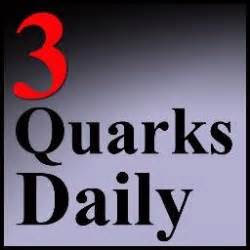 This is a heavily revised version of an essay originally published on 3 Quarks Daily. I am particularly grateful to John Rossi, an actual expert in this area, for his very challenging and critical comments. I have done my best to address them.